My Digital Package is a great package for authors who want to write books without having to deal with the distractions, such as creating a cover or formatting their own eBook. Properly formatting an eBook is a highly technical task, and as more and more ebook devices come to market, the challenge to create eBooks that display properly and without flaws on each device are growing. The stakes are high because readers do not easily forgive bad formatting. 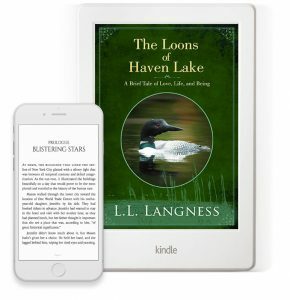 This package will give you an eBook cover, specifically designed with digital devices in mind, along with the full formatting of your book*, prepared for immediate distribution upload on all MOBI and EPUB eBook platforms, such as Amazon Kindle, Barnes&Noble Nook, Kobo and Apple devices. In my team, we have formatted over one thousand ebook projects for any kind of author and publisher imaginable, including a number of New York Times bestsellers. This package that will put your book in the best possible light, from the custom-designed cover to its interior formatting—and if you’re not happy with our work, you can always fall back on our 100% money-back guarantee. Here’s what you get for only $500! Please fill in the form below if you would like me to contact you regarding my Digital Package so that we can get things rolling, or simply . *Package fee applies to novels only. Technical and non-fiction books may require additional fees, depending on the length and layout complexity of the text.